Stan Lee has unveiled his latest creation, Nitron, a new superhero character franchise with film, television, and digital aspirations. Lee is partnering with Keya Morgan and Michael Benaroya on the new project, which involves an intelligent and advanced species that is secretly living on Earth in the present day. Lee, Morgan, and Benaroya are co-writing the Nitron comic books, which will be the source material for the movie, TV, and digital adaptations. Benaroya Pictures will produce the adaptations, and has secured an initial $50 million in funding to finance development and production. Benaroya Publishing will release the comics in January as a six-volume series, with further issues to come monthly. 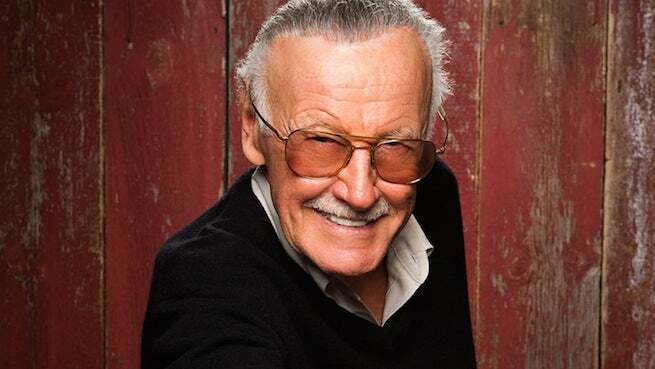 Stan “The Man” Lee is best known as the co-creator of many of Marvel’s most iconic characters, including Spider-Man, the Hulk, the X-Men, the Avengers, Iron Man, Thor, Black Panther, and Ant-Man. Lee served as editor-in-chief of Marvel Comics from 1945-1972 and is a former president and chairman of the publisher. He formed POW! Entertainment in 2001. In 2014, POW! Entertainment formed Stan Lee Global Entertainment, a joint venture with investors from Hong Kong. Benaroya’s past work includes Cell, Cymbeline, Queen of the Desert, Kill Your Darlings, and Margin Call. Morgan’s current project is the documentary film Marilyn Munroe: Murder on Fifth Helena Drive, which he is both producing and directing.